It’s often an overlooked aspect of a high school athlete’s journey to college: the personal transition from schoolboy and living at home to living alone on campus hundreds of miles away and playing against grown-ups. Fans, coaches and even family expect the dramatic change to go well. However, the transition is not always all layups and free throws. Take former Edinburg Vela all-state guard Ryan Garza, for example. About this time last year, Garza was with family, eating home-cooked meals, taking high school classes, playing with his buds on AAU teams and dominating the court in little ol’ Edinburg. Now, Garza is a freshman pre-physical therapy major at St. Edward’s University in Austin and is bunking in a dorm with teammates he’d never met before last year. The former four-year varsity starter is not playing all that much and shooting 28 percent on the season. But Garza isn’t one to back down from a challenge, and he’s embracing the new college experience. College basketball, no matter the level, is so much more intense than high school. Understanding that challenge, as Garza has, is one of the first steps to success, coaches say. That’s what made him special at Vela, where he led the SaberCats to the Class 5A state tournament in 2016 — a rare feat for an RGV team. Garza, who was coached by Lalo Rios at Vela, signed to play at Division II St. Edward’s in south Austin, following the footsteps of former Harlingen South coach Larry Kruse and current McHi coach Ryan Flores, who were both Hilltoppers. Also, Garza is another product of local AAU team STX Hoopsters. Like in high school, part of how Garza has coped with the changes and challenges is by staying grounded in family. His relatives often drive the 300 miles to attend games. Garza loves to have them around to talk and get hugs after games, even though he understands he has a job to do. Garza has played in all of the Hilltoppers’ 25 games, averaging 12 minutes and three points per contest. He had a season-high 17 points against Southwestern early in the season. Garza has made 12 3-pointers this year and is 26 of 35 from the free-throw line. St. Edward’s is 15-10 overall and 5-8 in the Heartland Conference, but the Hilltoppers have dropped six of their last eight games. Garza said the team just has to keep grinding. University of Houston shot put thrower Felipe Valencia has finished in first place in the Cougars’ first three indoor meets of the season. The 5-foot-7 La Joya Palmview alum has won gold medals by winning meets at Texas A&M, Houston and the University of Nebraska, where threw 18.49 meters (60 feet, 8 inches). The NCAA indoor season typically starts with the new year and ends by spring break. The 25th-ranked redshirt junior is back with the Cougars’ squad after redshirting last year, and he’s off to great start. Valencia, a two-time state champion in high school, made his mark as a sophomore two years ago. In 2016, he swept the shot put titles for Houston by taking the American Conference indoor and outdoor championships. Valencia advanced to the NCAA regional qualifiers during both seasons. 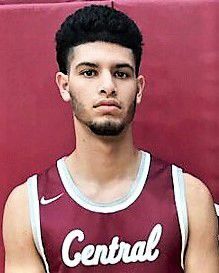 Jesse Granados is flat out balling for Central Christian College in Missouri. The 6-foot-1 freshman is leading the team in scoring with 17.3 points per game, but that’s only part of his story. The Edcouch-Elsa alum also leads the Saints in 3-pointers and free-throw percentage. He’s second on the team in minutes played, steals and rebounds. Central Christian is a small faith-based university that plays an NAIA-equivalent schedule in a league comprised of other Christian schools in the Midwest. Mercedes’ Jaime Rodriguez is a teammate. As an E-E Yellow Jacket, Granados was a four-year letterman and three-year starter who averaged 32 points per game as a senior. He was named District 32-5A offensive player of the year last spring. 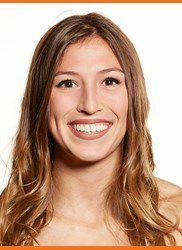 UT San Antonio junior Gabriyella Torres was named Conference USA Indoor Track & Field Female Field Athlete of the Week for the week ending Feb. 4. The 5-foot-8 Torres placed third in the pentathlon at the Texas A&M-hosted Charlie Thomas Invitational, an indoor meet. Torres, who was making her pentathlon season debut at the meet, totaled a personal-best 3,692 points, which currently ranks second on the Conference USA performance list and 49th nationally. The Port Isabel native also ran a personal-best 9.03 seconds in the 60-meter hurdles to total 904 points. Torres placed no lower than fifth in any pentathlon discipline, highlighted by a second-place effort in the long jump with a distance of 5.47 meters.